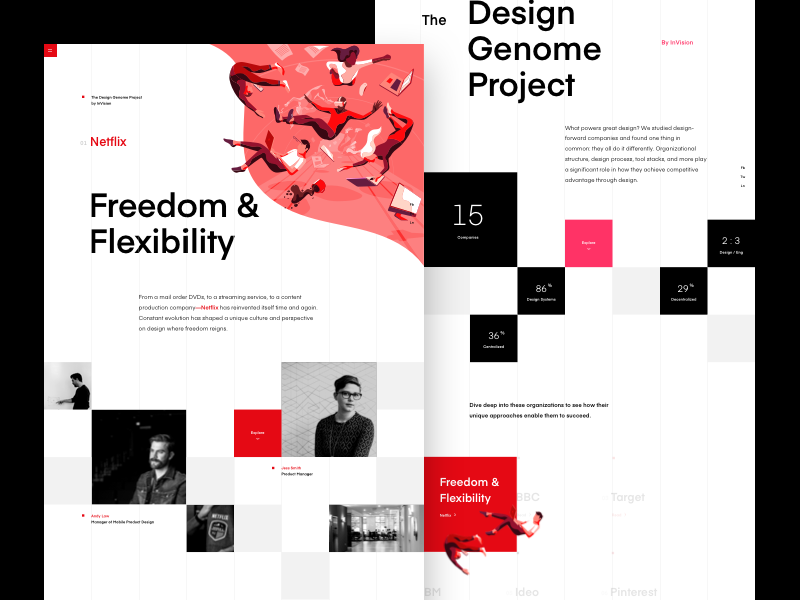 The Design Genome Project is a special collection of research reports profiling some incredible teams—including Netflix, Slack, Shopify, Capital One, and Pinterest. After more than a year in the works, it’s ready for you to see. Each report in The Design Genome Project begins by identifying what sets a given team apart. Our site for this project incorporated grid elements with incredibly illustrations from @jackdaly “breaking the grid,” which is fitting for the way these design teams get creative. Our design also incorporated inspiration from connectedness of DNA strands and the multifaceted nature of the best design teams. We hope you feel inspired by these teams, and use the information they’ve shared to shape a superpower of your own.